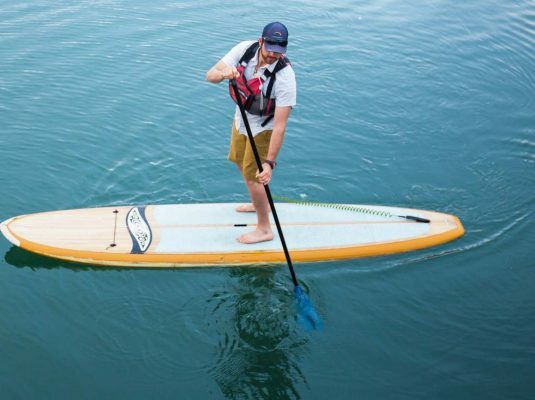 This 2- 2 1/2 hour class teaches you the basics of stand up paddling. 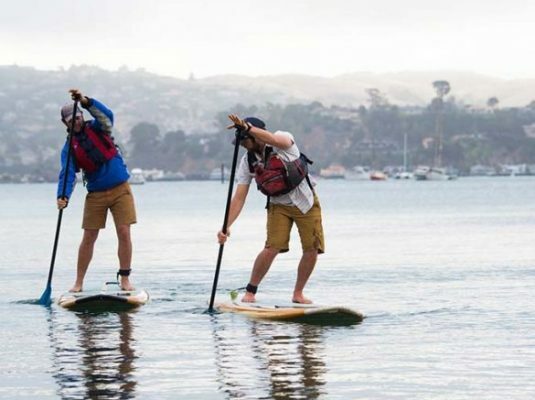 We usually spend the first 30 minutes on land, letting you practice basic paddling techniques while we demonstrate how they work. Then it’s time for you to get into the water and practice yourself. 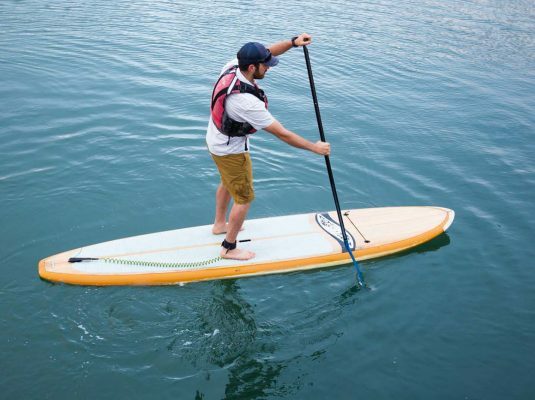 This class ends with a short paddle along the waterfront, your instructor standing by to fine-tune your technique. 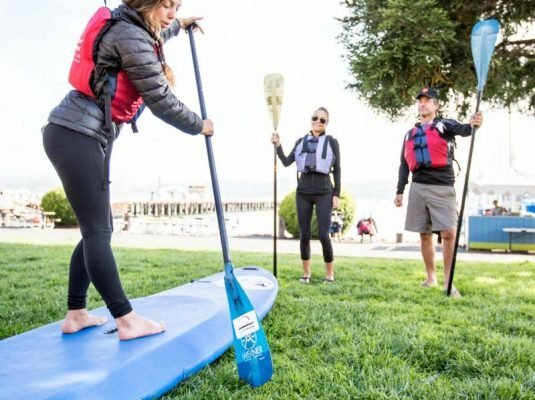 Introductory SUP is offered on Saturday and Sunday mornings at 8:30 am or 9 am at our Bay Model location. Equipment is included in the cost of the class. To check the starting time and reserve your spot today, contact us online or at (415) 332-8494. 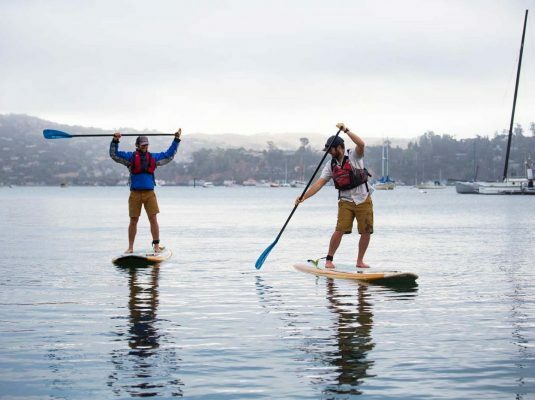 Stand up paddling is another way to get on the water, enjoy nature and benefit from a great core workout. The beauty of this sport is its simplicity, elegance and quick learning curve. This instructional book will provide you all the skills to have a fun and safe experience. Can be ordered when you book your Stand up paddling class or on Amazon.com.